I adapted 2- and 3-part excerpts from the Renaissance composers and fitted them with English texts from the liturgical seasons (Advent, Lent, etc.) as well as all the feast days that can replace a Sunday (Peter and Paul, Presentation of the Lord, etc.). 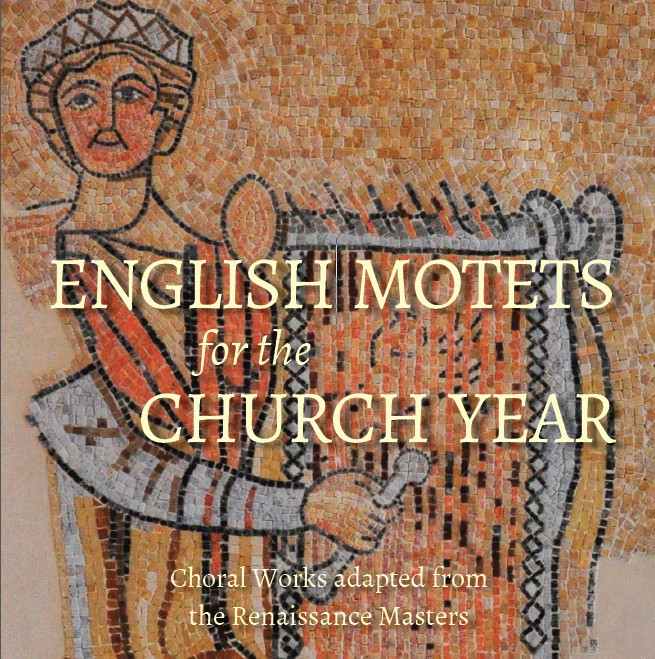 40 different motets, each with two voicings, plus a bonus motet for the Nuptial liturgy . . . 81 settings in all, with even more transpositions at the website! I've got 60 copies en route to St. Louis, ready to be sold to those who are kind to me and buy me drinks upon request (or whomever has 15 bucks to spare). Online sales should be ready no later than July 1st at lulu.com. I've attached the cover and linked a few samples that my dear colleague, Janet Gorbitz, has graciously recorded for me. I found some real gems, friends, and I think you'll love this collection! Love these! If you love Renaissance polyphony, these are perfect. Thanks Heath. I love this one . . . wonderful canon at the octave in the outer voices, with the inner voice working its own magic. The text is from the Introit of the Dedication of the Lateran Basilica, Nov. 9. Congratulations. I will definitely be buying this as my from scratch choir will enjoy these. Lovely work. It's ready! My Colloquium confreres got a special preview, but the rest of the world can get in on this now! Also, do yourself a favor and check out Janet's hard work at her youtube page . . . she's been recording many samples from the book and I'm super-grateful! I bought 40 copies for my choir -- you should, too! I wish I had 40 choir members!!! He didn't say he had 40 choir members he said he ordered 40 copies. Wow, irishtenor, thanks! I hope it finds a good home in your music program! If we make any good recordings, I'll send them your way, Heath! Little late, but Epiphany recording with one of my talented singers. Bumping to re-share this great Transfiguration piece since it falls this Sunday!